Beverly A. 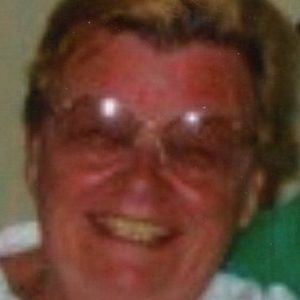 (Chepetsky) Ladner, 79 of Rockland passed away on March 22, 2019 at the South Shore Rehab and Nursing Facility in Rockland. She was born on May 1, 1939 in Quincy to the late Joseph and Barbara (Mattson) Chepetsky. Beverly was raised and educated in Quincy and was a graduate of Quincy High School. She was the loving wife of the late Emory Ladner. Beverly worked as a head chef for Quincy Public Schools for many years and after her retirement she stayed socially active by becoming a member of the Rockland planning board, Rockland senior center and the Rockland Elks. She enjoyed spending time with her friends and listening to music. Beverly was an outgoing social person who enjoyed having a good time. She enjoyed camping and spending time with her children. Beverly was a loving, giving person who loved her grandchildren and great grandchildren with all her heart. She was the mother of Kimberly Donahue (James) of Virginia Beach VA, Brenda Trudeau of Plymouth and Steven Ladner of Rockland. Beverly was the sister of Joseph Chepetsky of Quincy, the late Barbara Jones and Jean Trudeau. She will be dearly missed by her seven grandchildren and eight great grandchildren. Beverly leaves behind several nieces, nephews and friends. 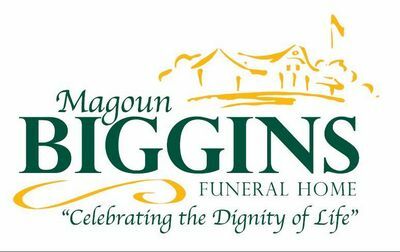 The family welcomes friends and loved ones to celebrate her life on Thursday March 28, 2019 from 5:00 PM to 8:00 PM at the Magoun-Biggins Funeral Home, 135 Union Street Rockland, MA. A Funeral Service will be held on Friday March 29, 2019 at 11:00 AM at the Funeral Home. Burial will follow at the Massachusetts National Cemetery in Bourne. Add your thoughts, prayers or a condolence to Beverly 's guestbook.